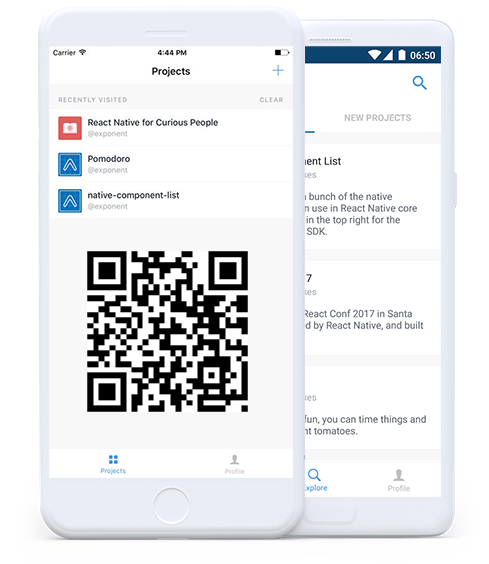 All in one React Native Expo iPhone + Android Mobile apps.The only mobile app code you will ever need. For just 49 USD. List of what the Universal App Platform has included. You get 2 for 1. Android and iPhone app produced from single React Native code base. The app comes with the amazing Firebase & Firestore produced by our team. Your app is multi language reade. Just translate the english strings into your desired language. With this purchase you don't buy just code. You get dedicated support team. This React Native code is up to date, and updated twice a month. Check our changelog. Change the logo, change the color scheme, and your are done. Multiple layout included. Manage your app data,layout, colors, navigation. No hosting needed"
Firebase admin panel is ReactJS webproject that you can host directly in your firebase instance and manage your data like a PRO.. Using the Expo Client app you can prewview the app directly on your device. Download the app now, and test the app before purchase. First make sure you have followed our docs correctly. If you did that, and if you are facing a problem feel free to submit ticket here .